Minorca was, once again, under Spanish rule for the first time for 74 years following the siege of San Felipe of 1782 (see September issue of Focus) when Great Britain surrendered the Island. Times became hard for the Islanders. Indeed, as in previous centuries and some may argue even up to and including very recent times, Minorca was neglected by the government in Madrid. During both periods of British colonial rule and during the 7 years of French occupation (1756-1763) the Menorquins were allowed to practise their Catholic religion without interference. Now missionaries arrived from mainland Spain to impose their strict rules and the Inquisition, which had been outlawed by the British in 1708, was re-imposed. The laws and customs, which the Duque de Crillon had promised the people would be respected, were soon substituted by new directives from Madrid. Taxes were imposed for the first time for over half a century, imports of goods was severely controlled by the customs authorities and all boats had to be registered taking away the liberties of the sailors and fishermen. The Spanish government attempted to reintroduce the one in twenty levy on all young men for military service which since the medieval times they had been excused from serving outside the island. The most insulting law that was imposed on them was that their Catalan language spoken since 1287 must be replaced by Castillian. The most colourful and fruitful time for the Menorquin language was during the British colonial times with many of the illustrious writers belonging to the Societad Maonesa de Cultura being established during the second period of British rule. 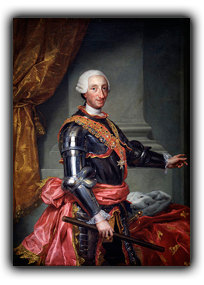 The very active governor, Conde de Cifuentes, did his best to appease the population but he could not disobey the direct orders of the government in Madrid but he certainly did everything in his power to alleviate the suffering of the people and brighten their lives. He was responsible for the construction of the beautiful Paseo de la Alameda at the inland end of the harbour which was depicted in so many contemporary paintings of the time. Georgetown was quickly renamed Real Villa de San Carlos after Charles III of Spain and Cifuentes continued the growth of trade and commerce started by the British. The one thing which totally dismayed him however and to which he was vehemently opposed was the order from the government to destroy the fortress of San Felipe. Although the upper workings had been badly damaged during the siege of 1781/82, had the powers in Madrid forgotten that both Britain and France had coveted the Harbour for years? Had they forgotten that Great Britain had spent some one million pounds on the enlargement of the fortress? (A vast amount of money in those days.) Did they not realise that the geographical position of the harbour, not just the defensive role of San Felipe, made this the most important and strategic port in the Mediterranean? Did they think that the elimination of the fortress would make it less likely for an attack by either Britain or France and make Minorca a safer place? Well, obviously these considerations were not debated. On behalf of King Charles III his ministers gave the demolition order on 16th February 1782. This was just 10 days after General Murray had surrendered the Fortress of St Felipe to the Duque de Crillon indicating how little thought had been given to the consequences. Six months later Juan Guillelmi, the Lieutenant Colonel of artillery reported that the demolition was complete. The huge star shaped bastions of San Felipe and castle of San Antonio at Fornells, together with their underground passages and workings had been razed and made un-useable. Menorca was left undefended except a small battery of guns at La Mola, a further four batteries sited on the rubble of San Felipe and three at Fornells. Ciutadella was protected only by its walls and the small San Nicholás tower. Governor Cifuentes was dismayed to see the Menorcans having once again to resort to their own devices to ensure their safety. I quote from his own words “As they see themselves with few troops and no defence fortifications, no one can convince them they are secure”. 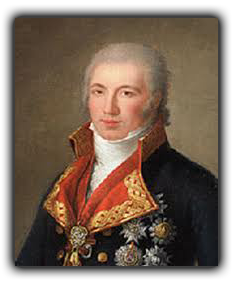 With the upmost secrecy General Stuart commenced the planning and preparations for an attack on Menorca in September 1798. Times were difficult for the population of Menorca, poverty caused by having to supply the Spanish ships of war and to take in many French political refugees caused prices to rise of their basic necessities. This was increased by a succession of bad harvest, storms, epidemics of diseases these possibly caused by a plague of rats. At this time, the 1790’s, the birth rate was being exceeded by the death rate. The general moral of the population was low with no feeling of obligation towards the Madrid government whom they believed had let them down badly and they could only look back on the good and prosperous lives they had enjoyed during the previous British rule. Now with no serious form of defence the population felt very vulnerable. After Spain declared war on Britain in 1796 and from the beginning Anuncivay, the then Governor, had repeatedly asked Madrid for reinforcements to be sent but to no avail. 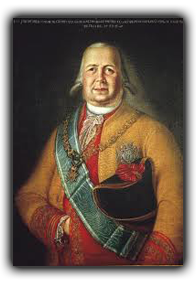 On the death of Anuncivay in 1797 Brigadier Juan Quesada was appointed as Governor and immediately tried to put the defences of Minorca into some form of order. Without reinforcements these could only be described as disastrous with only about 100 cannon and a total of 2600 men, many incompetent and undisciplined, to defend the whole island. The Spanish ship “Santo Cristo del Grau” arrived in Mahón on the 6th November with a dispatch for Quesada giving information of a British fleet having left Gibraltar 14 days earlier making its way in the direction of Minorca. This comprised some 7 warships, a frigate and a corvette and several private ships carrying supplies and armaments. The following day, the 7th November 1798, the lookouts on Monte Toro, Santa Agueda and La Mola sighted the sails of some 25 ships approaching for an assumed landing at Fornells. By time the word had reached Quesada the British were already landing at the old Arabic port of Addaya. The initial British force of 800 men landed under a supporting barrage from Commander Duckworth’s frigates stationed just outside the cala. Once the beach head was established the main force soon followed ashore. The defending Spanish troops fled towards Mercadal leaving behind about 100 deserters who promptly joined the British ranks and who, on interrogation, told General Stuart that the strength of the defending army was about 4000 men. Quesada set up his headquarters in Mercadal and, sending for reinforcements from the small garrison at Ciutadella. By installing a strong defensive line in Mercadal he intended to stop the British advance reaching Cami d’en Kane, along which was the only way the British could reach both Mahón and Ciutadella. The reinforcements arrived exhausted at midnight after a 6 hour march from Ciutadella and they promptly joined with those already camped by the roadside in Mercadal who were drunk having been issued with too much brandy to keep them warm. Quesadas army was in complete disarray. His problems were compounded when he received a message from the military governor at Ciutadella stating that two British frigates had been offshore during the day and that he supposed that they would soon be landing troops to take that city. With a complete reversal of plans Brigadier Quesada decided to retreat to Ciutadella and at 4.00 AM, with little sleep after their previous march to Mercadal, ordered his army back to that city as his last bastion of defence. On the morning of the 8th General Stuart sent 600 men under the command of Colonel Thomas Graham from Fornells to engage the enemy at Mercadal. They found that this had been abandoned but managed to capture some late departing soldiers together with their officers. The following day Stuart followed with the rest of the British army which was reinforced by 250 sailors who were charged with dragging the cannons as far as Mercadal. At this time Mahón was in a state of panic as two British frigates and 5 large transport ships were sighted outside the harbour mouth. The commander of the guards at the naval base and arsenal had previously set off with the cannon to Cuitadella to reinforce the troops there on the orders of Quesada. The few forces left in Mahón moved to the ruined fort of San Felipe. 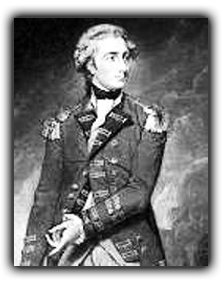 On the same day, the 9th Sir Charles Stuart, having heard of the dire situation in Mahón, sent 350 men of the 28th Regiment under the command of Colonel Edward Paget. He arrived after dark but from the unexpected land end. It is believed that this force arrived by marching along the Alameda and it was met near the monastery and church of San Francisco by the councillors who presented Colonel Paget with the ceremonial keys of the city. Although prisoners of war the councillors were allowed free movement and live in their own homes. As it was late Paget waited until the following morning to present an invitation to the military commander to capitulate. This was duly agreed and the Spanish flag was lowered to be replaced once more by that of Great Britain. With General Stuart’s force now occupying over half the island, the capital already taken and British ships blockading all of the harbours, Quesadas position was precarious to say the least. With almost 1000 deserters now having joined the British, his army now numbered only around 2000 men. By midday on the 11th November a large advance party led by Colonel Moncrief were dominating the heights around Ferreries. Colonel Pagett left 150 men in Mahón and with the remaining 200 hastily made his way to join up with him. To make it appear he had a larger force than was in fact the case General Stuart had his forces make up two dense columns approaching towards Ciutadella along the two existing roads. Colonels Moncrief and Pagett marching along the old Royal Road and General Stuart, with the larger force, along Kanes Road. By the 15th the British force was in a position to threaten the city.